Where am I? 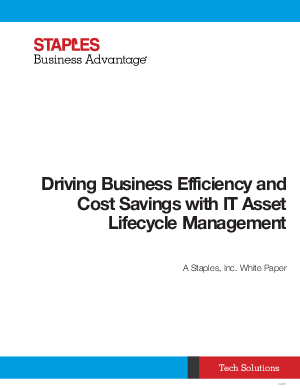 › Home > White Papers > Staples Business Advantage > IT Asset Failure Is Your Worst Fear. Avoid It With This. Businesses run on IT. So when an IT asset fails, a part of the business fails. Whether the impact is large or small, any failure can cause lost revenue, regulatory violations or reputation damage. Effective IT asset lifecycle management can eliminate such problems before they happen and extend the useful life of assets, which helps drive business momentum and profitability.